When your relocation is coming up, it can be a little intimidating. Even more so if your particular move involves a large household. We're talking BIG. From children and pets, to elders and extended family, no matter how large your San Clemente household move is, you can have peace of mind that our movers at Coast Valley Moving & Storage are fully equipped to handle your needs. As agents of Wheaton World Wide Moving, our professionals not only have the modern moving equipment to tackle your move, but also the global network required to take you and your family's belongings anywhere safely and securely. Let us take the stress and load of moving off your shoulders. When you choose our residential moving services for large households, you get professionals who understand what it takes for a successful relocation. From specialized moving services to comprehensive storage solutions, we offer everything you need to complete your move efficiently and seamlessly. 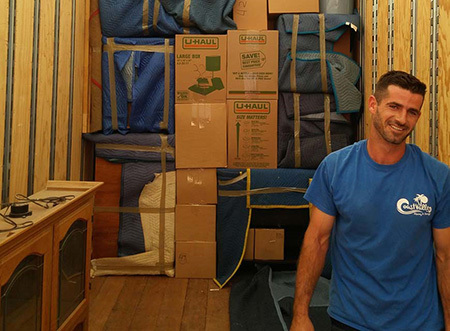 Our professional moving company has the dedication to make your move exactly what you want it to be. Transform what you think about moving when you choose to work with Coast Valley Moving. If you're ready to get started on your large household's relocation, contact our professionals today for personalized, customizable services. Call us to learn more about our comprehensive services or fill out our online form to get your free, no-obligation estimate. Our moving professionals are ready and willing to get started on your relocation. We look forward to hearing from you!